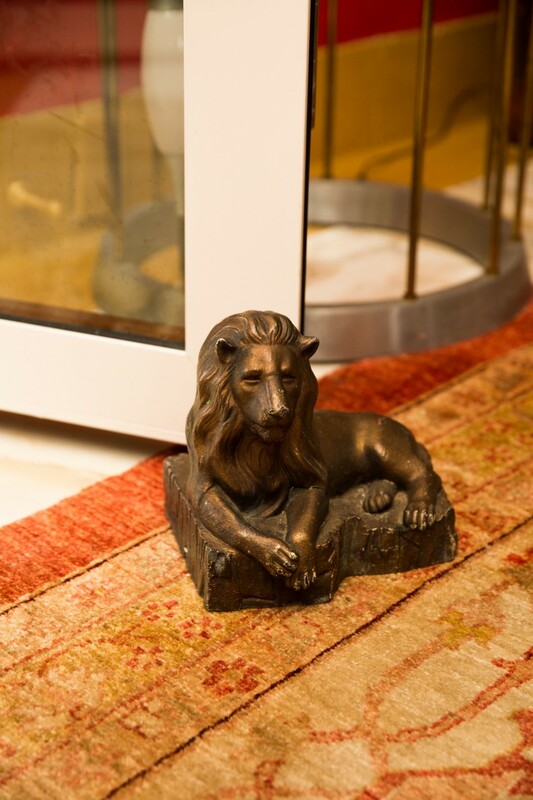 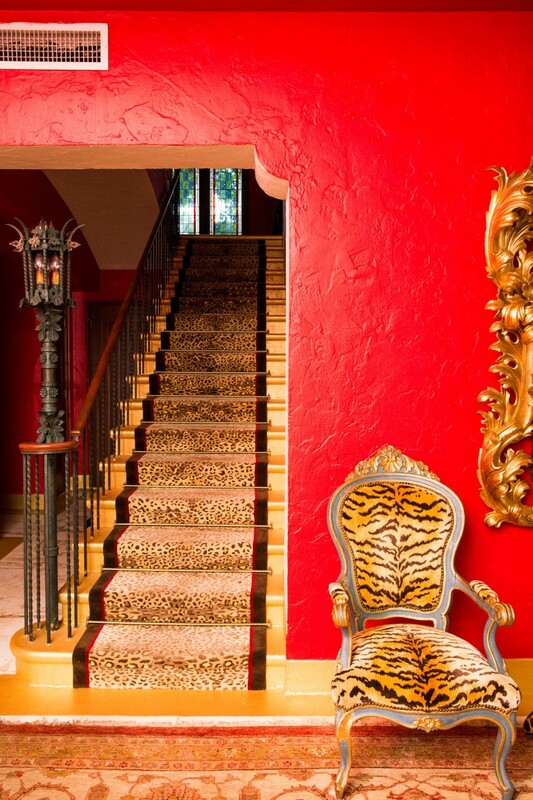 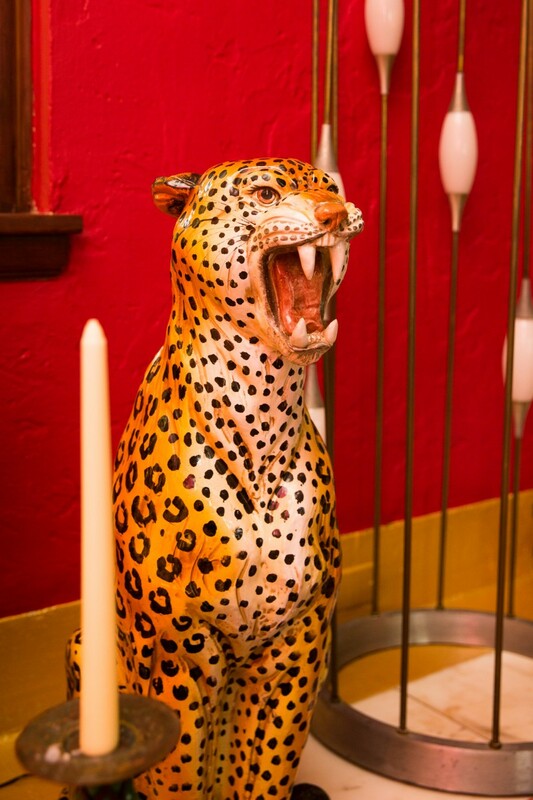 A fitting accent for a red and animal print room. 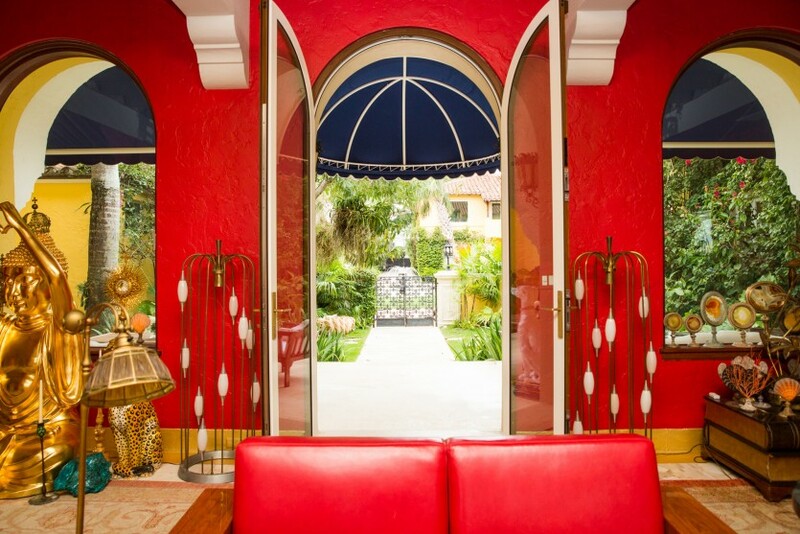 The large black wrought iron gate opens to reveal a long brick driveway that leads to a very-Miami Mediterranean-style home, complete with terra cotta shingles. 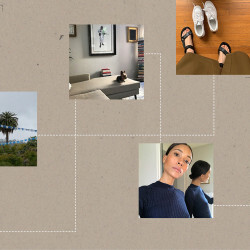 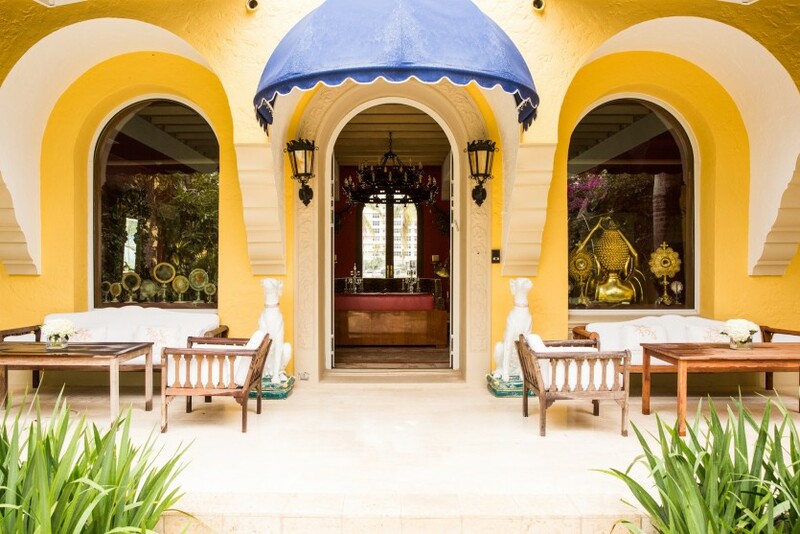 Walking up the driveway was an experience within itself—lights hung from the trees, massive crystals were strewn across the gardens, and a giant elephant statue—which we later found out was from the actual Taj Mahal—led to the front door. 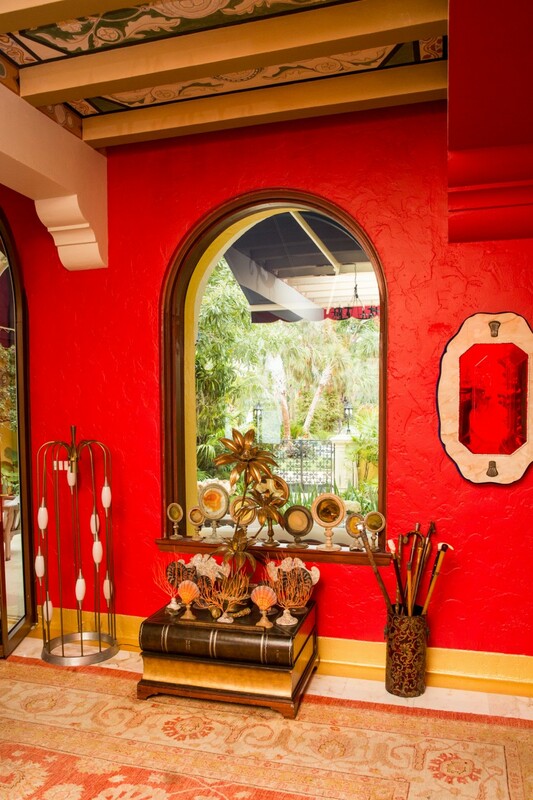 Inside was a decadent living room with back windows facing a pool, boat, and Indian Creek. 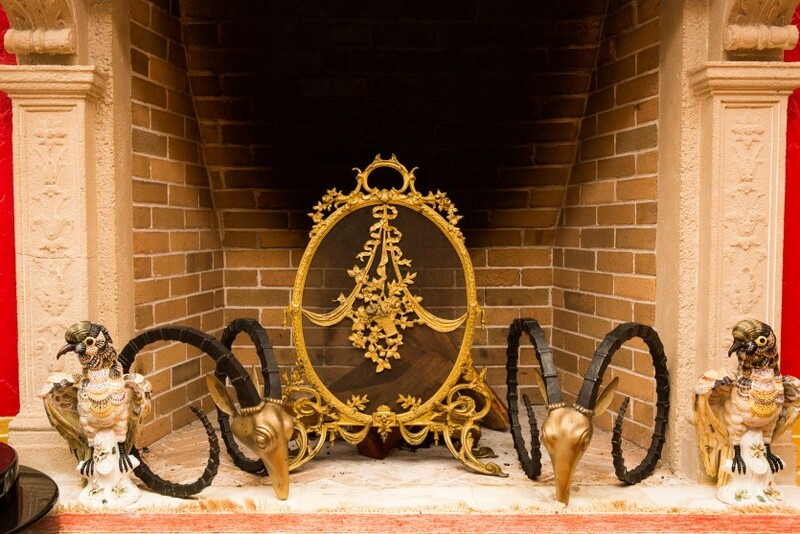 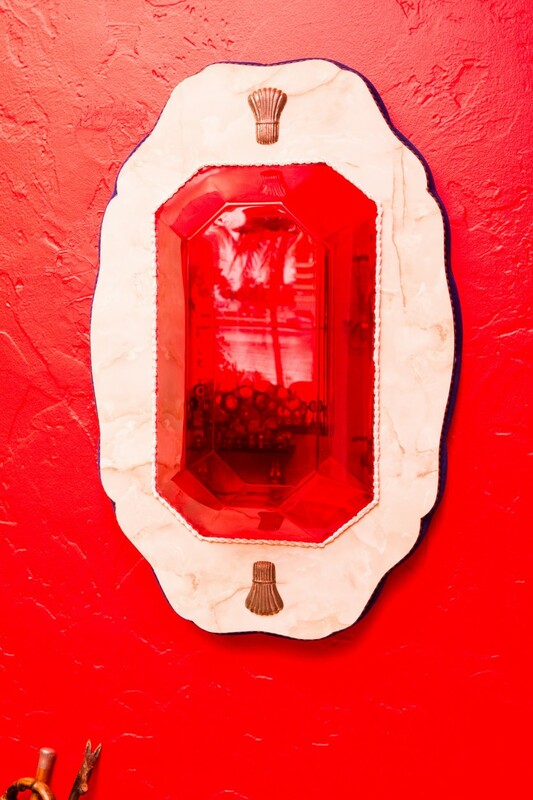 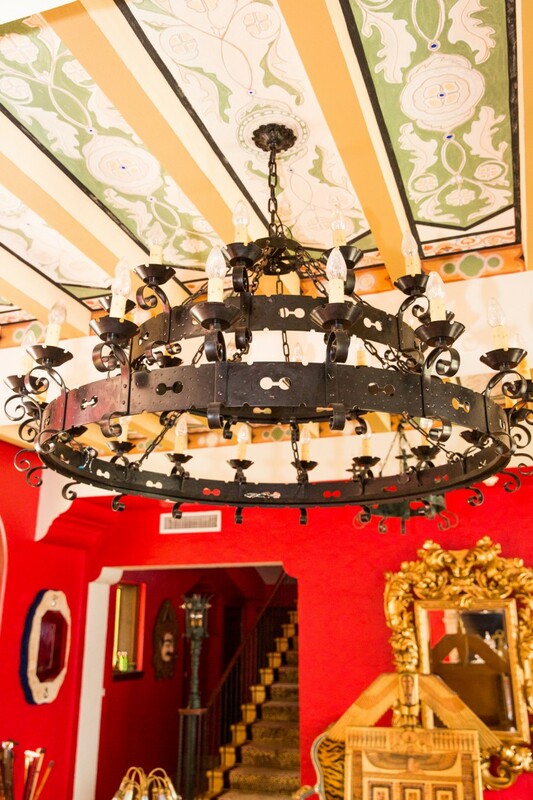 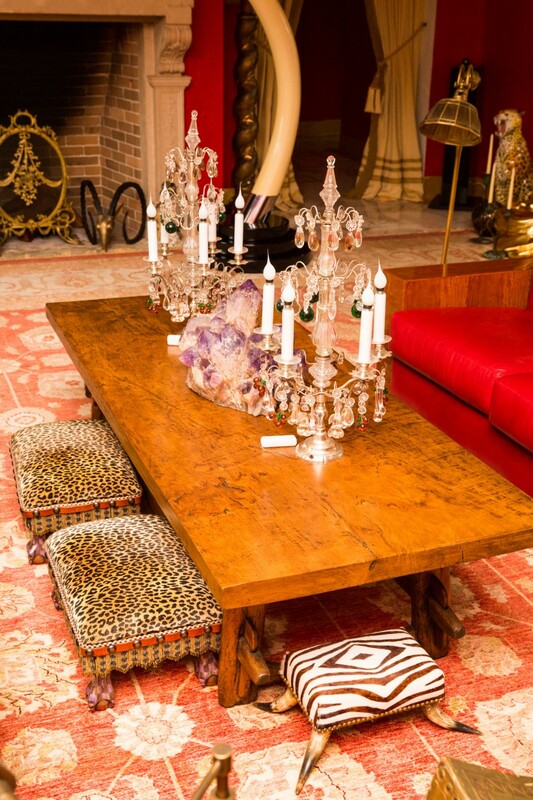 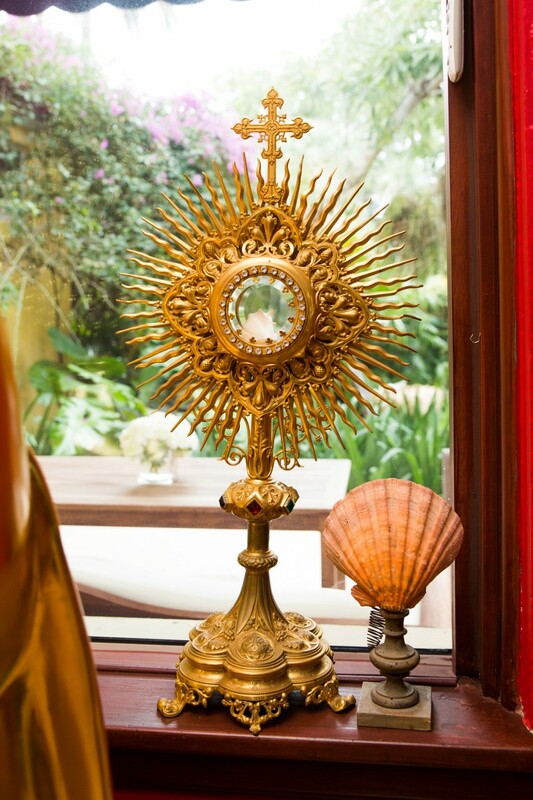 The small logo of a feather top hat etched into the many pieces of furniture gave away where we were: in famed hotelier and real estate developer Alan Faena’s Miami home. 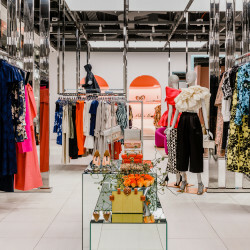 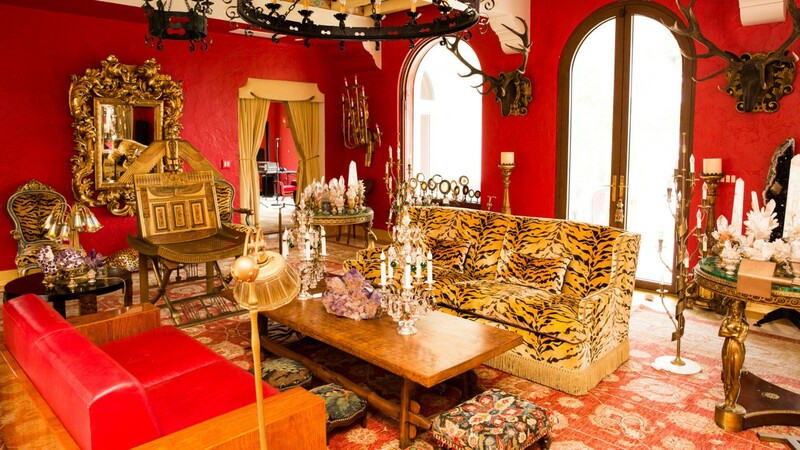 We quickly realized that Faena, who is responsible for lavish Miami hotspot Faena Hotel, has a “thing” for animal print pieces. 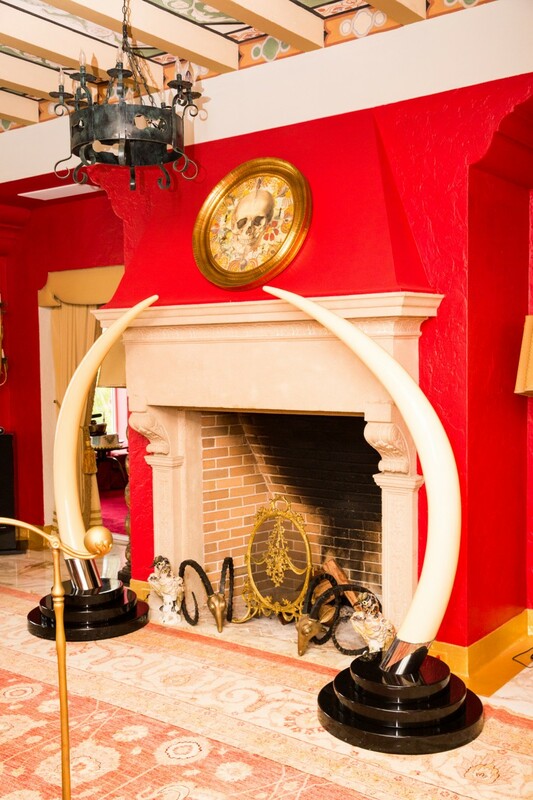 The room was full of tiger print couches and chairs, cheetah statues, and elephant tusks (fret not, as they are all fake). 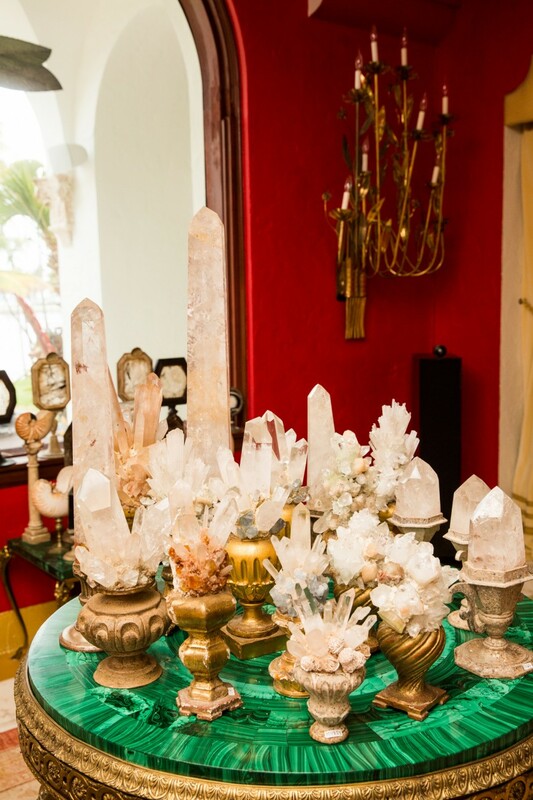 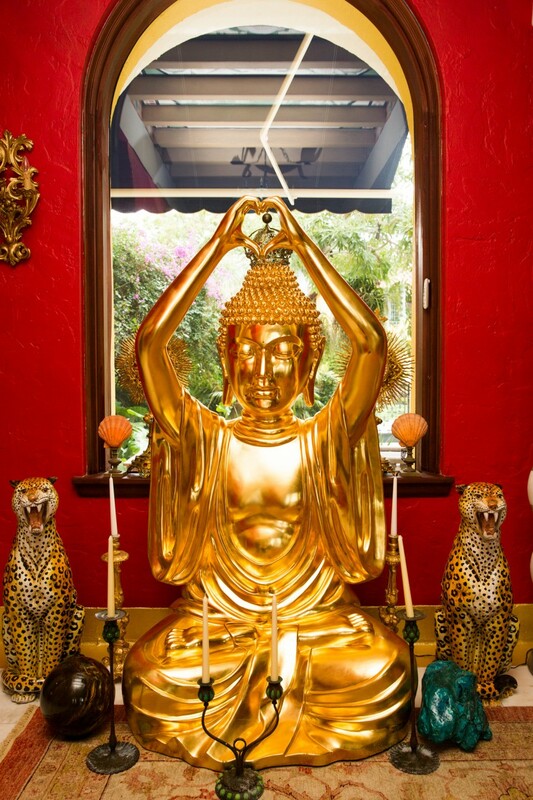 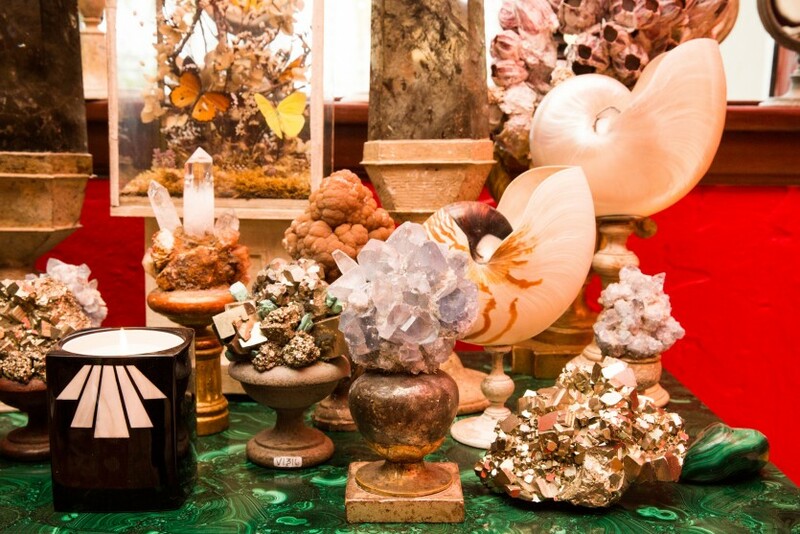 What caught our attention most was the infinite amount of crystals and stones throughout the room. 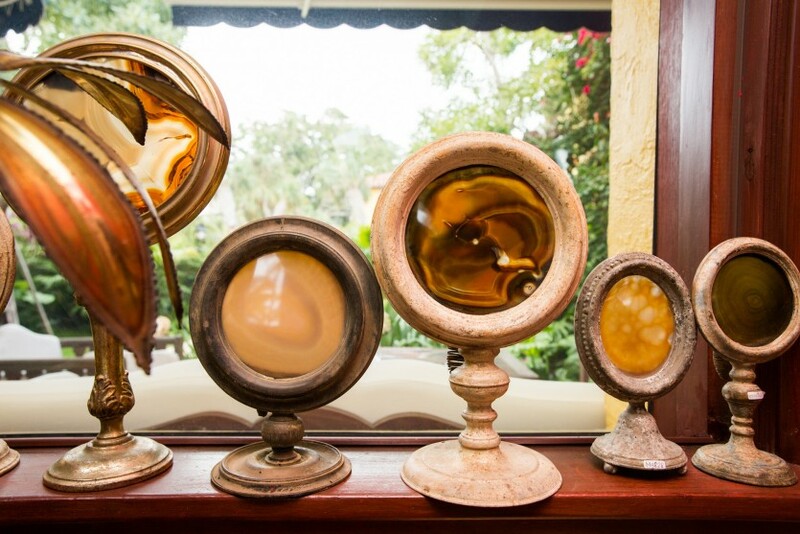 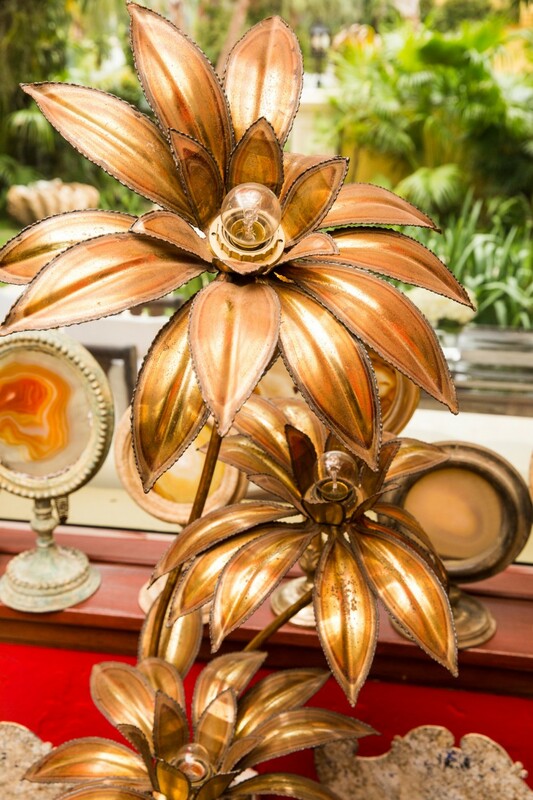 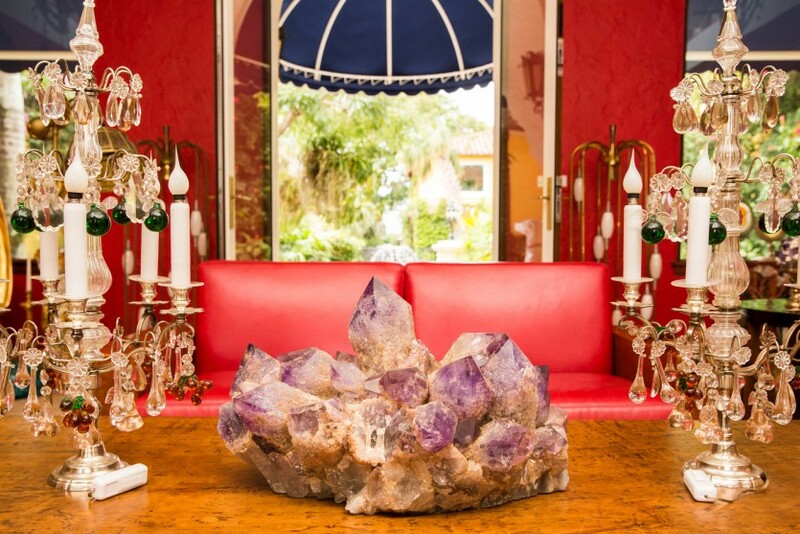 Faena told us how he fell in love with one collector's entire collection, which was started in 1850, and bought the entire lot. 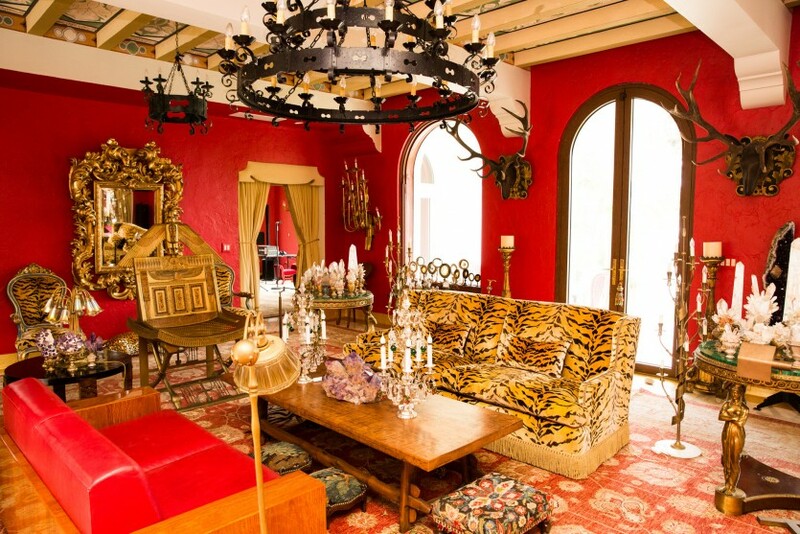 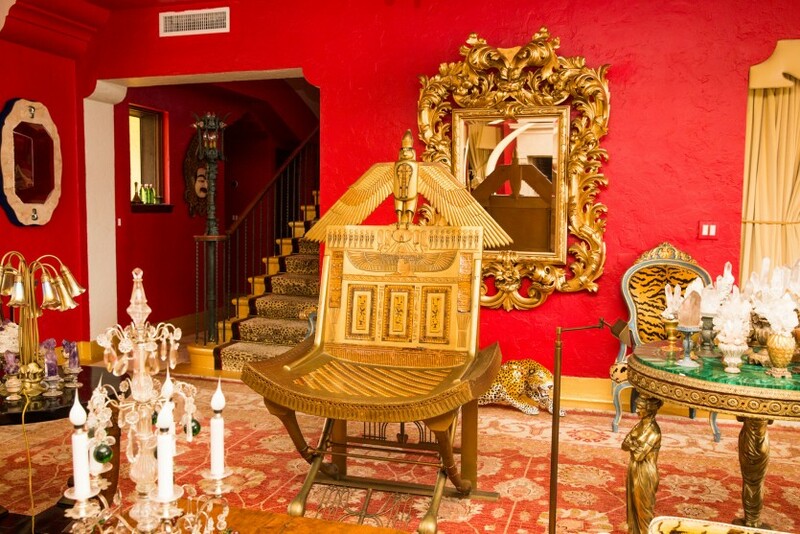 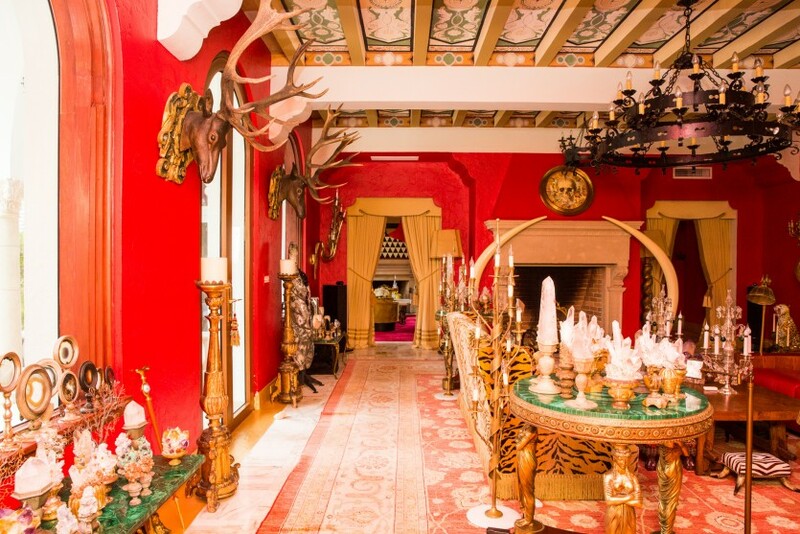 To say that Faena’s living room was impressive would be an understatement. 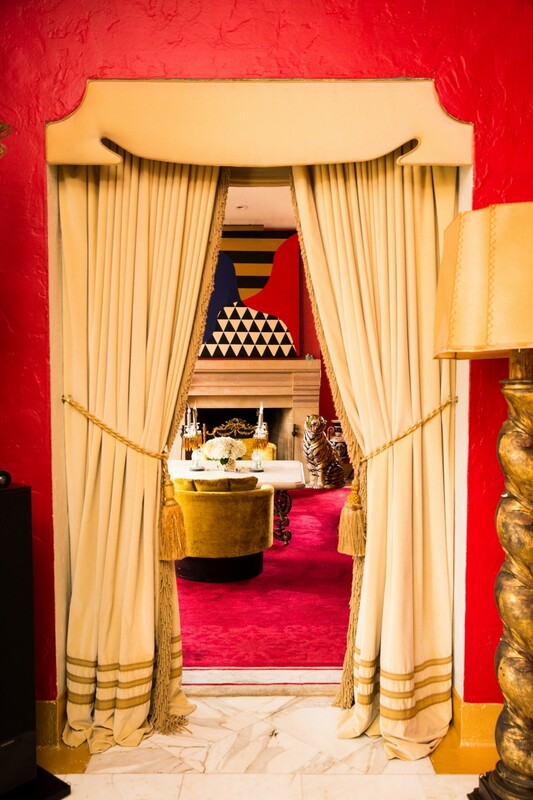 It’s so good that he replicated it at the Faena hotel. 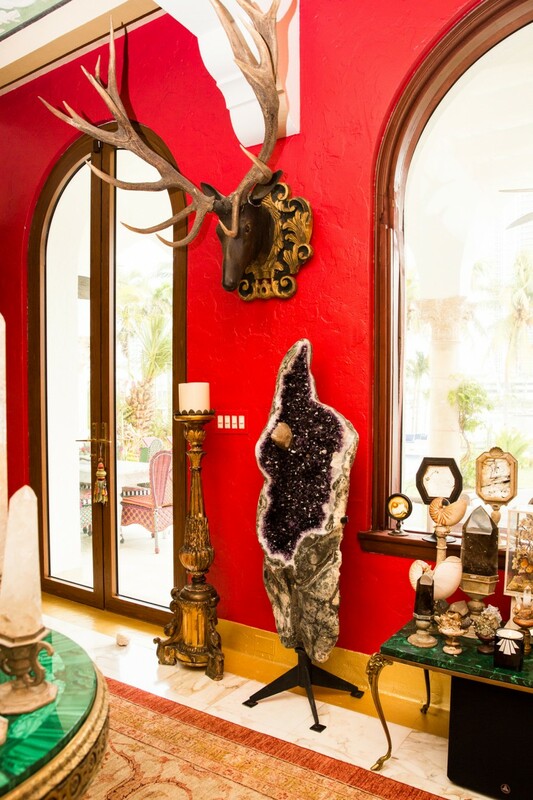 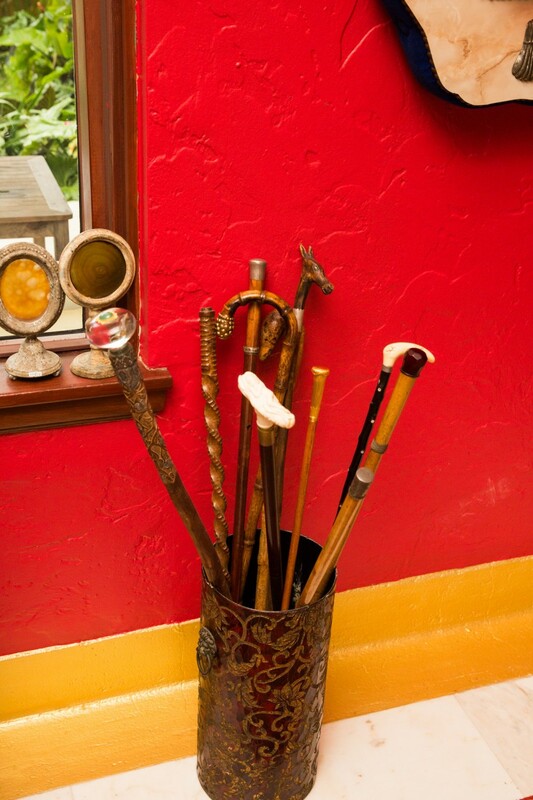 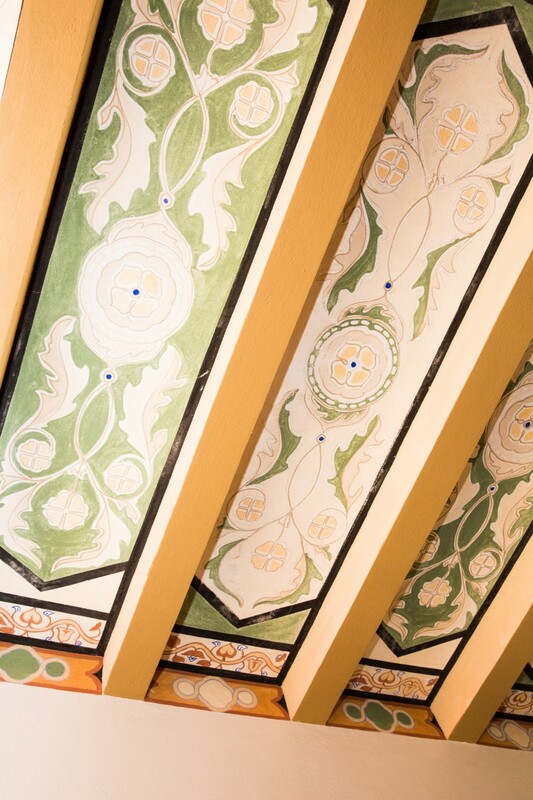 After we explored every nook and cranny of his living room, we chatted with Faena about a few of his prized possessions, how he finds his pieces, and his next venture; music.